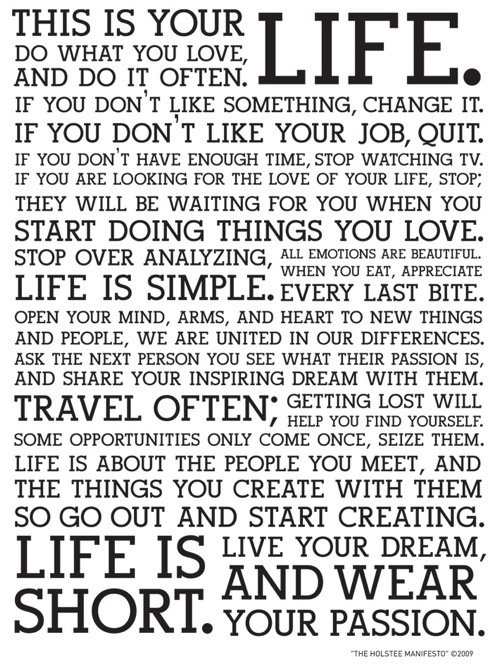 I really, really, really like that manifesto. That is how I want to live my life. Thanks for sharing.